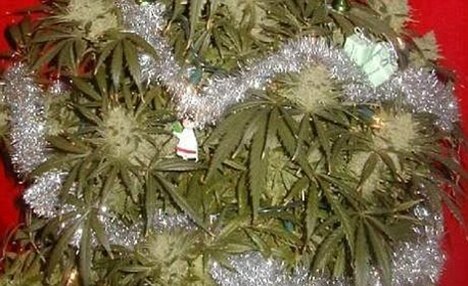 Christmas in Germany seems to turn into a cannabis feast looking at the recent busts made by the police. On Tuesday, German authorities said that a 21-year-old man in the southern city of Munich had been detained with a homemade Advent calendar with cannabis behind each little door instead of chocolate. On Wednesday, in the state of Rhineland-Palatinate, officers entered the home of the ‘old 68er’ – a reference to a group of young students and workers who took part in radical protested across Germany in 1968 – and he ‘more or less willingly’ handed over 150g, or 5.3 ounces, of marijuana. But after the police snooped around the property in Montabaur, near Koblenz, further, they found the tall pot plant. Police seized the plant and the 150 grams (5.3 ounces) of marijuana found in the apartment. Cannabis was illegal throughout Germany until the federal constitutional court decided on 28 April 1994 that people need no longer be prosecuted for possession of soft drugs for personal use.